The Dancers 2014 - crossoverprojekts Webseite! born in Berlin, in 2010 completed his dance studies at the Staatlichen Ballettschule Berlin. Immediately after his training he has established himself as a freelance dancer performing and teaching. He has won the overall title of the Duisburger Tanztage and successfully participated in the Berliner Tanztagen in 2012 and 2013. He has worked Thorsten Händler, Sten Kuth, Cindy Hammer and Peter Pleyer and is a guest dancer of the Deutschen Oper Berlin and the dance company Art Changé. born and raised in Kempten / Allgäu (Germany), where she began her dance training as a member of KaRi-dance.Company. After graduation Ronja continued her contemporary dance training at “Tanzakademie balance1” in Berlin. Since October 2013 she has been a professor of dance at the TU Berlin teaching contemporary, jazz and modern jazz at the TU Berlin. As part of the dance festival „13. Kemptener Tanzherbst“ she showed choreography with Nanna Holst Nieman choreography. 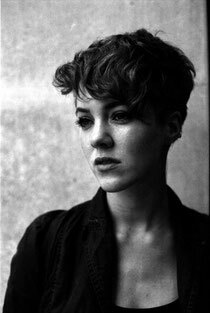 Currently Ronja is a member of the Crossover Projekt and works with the choreographer Salvatore Siciliano. was born in 1987 in Haderslev, Denmark. All her life she has been engaged with dance and movement, in varies stills; from Ballroom dance to gymnastics. After graduating from high school, she participated in an intensive dance course at the Gerlev Idrætshøjskole, and spent the next three years a member of the dance and parkour group; Gerlev Performance Team, with tours in Poland and China (EXPO). Her studies in Modern Dance began in 2009 at the Copenhagen Contemporary Dance School (CCDS), a 1-year dance program, followed by a 3-year education at Dance Academy balance1in Berlin. Shortly after graduating she Created the duet: „Chapter Three, First phase“ with her close friend and colleague Ronja Häring, premiering October 2013 at the 13th Kempten Dance Fall Festival. She is currently working with choreographer Salvatore Siciliano, and as a dancer in the Crossover Projekt. born in Ochsenfurt (D), completed her training as a professional dancer at „Tanzakademie balance1“ in Berlin. In Berlin, she performed in pieces of Heidi Weiss, Norman Douglas, Cristina Perera, Florian Bücking, Lydia Klement and Isabel Gotzkowsky. During her studies she worked closely with Isabel Gotzkowsky and Jon Zimmerman. She was a member of the „Compagnie Isabel & Jon“ and performed with them in „Zeit(R) äume“ at the Uferstudios. After graduating, she danced in New York under the „Share: Chapter 4“ project, which was initiated by Isabel Gotzkowsky. Early 2013, she moved to Hamburg, where she is a dancer, fitness instructor and personal trainer, as well as a Pilates teacher. 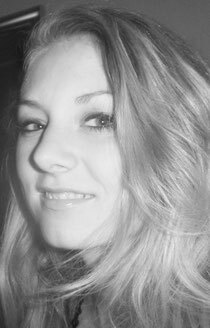 Theresa is a dancer and coordinating assistant of the Crossover Projekt. was born in Hamburg in 1988, but moved to and grew up in Denmark. She has been dancing since she was three-years-old and studied funk and jazz dance for 17 years. She taught dance and choreographed at INCURRED where she also performed in numerous shows. In 2010, she moved to Hamburg to continue studying at the „Contemporary Dance School“. There she worked with several choreographers, such as Angela Guerreiro, Fiona Gordon, Raul Valdez and Teresa Ranieri and also choreographed her first solo piece „Angst.“ Since graduating, she has taught several workshops at Danish international dance schools and is now a member of the Crossover Projekt. was born in 1988 in Korsoer, Denmark. She moved to Copenhagen in 2008, where she studied and completed her dance training in hip hop, house and Modern in 2009. From 2010 to 2013 she trained at the „Iwanson International School of Contemporary Dance“ in Munich. During her time there, she performed in several pieces at an annual contemporary performance at the Kranhalle in Munich. 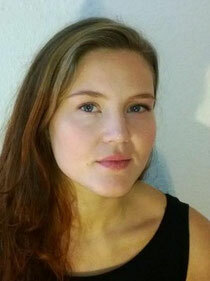 Maria also choreographed three pieces that where performed at the Kranhalle „Faret vild i skoven”, which she also performed in, “All Expectations make her Heart feel numb” and “There might be a Problem with the Sun”. is from the United States of America and moved to Berlin in October 2013. She graduated from James Madison University (JMU) in 2013 with her Bachelor of Arts in Dance and Pre-Physical Therapy. During her time at JMU, she was a member of the „Virginia Repertory Dance Company“ (VRDC). With the VRDC Rachel performed at the John F. Kennedy Center and Woolly Mammoth Theater in Washington D.C. and throughout Virginia and West Virginia. In May 2013, she traveled with the VRDC to Chengdu China where she performed and taught dance workshops. Rachel also has studied with „CityDance Ensemble“ in Washington D.C., „Pennsylvania Regional Ballet,“ „Amy Marshall Dance Company“ in New York, and at the „American Dance Festival.“ She is honored to work with Isabel Gotzkowsky and Salvatore Siciliano for the Crossover Projekt. started her dance education in 2003 in Hamburg. 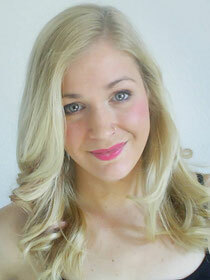 Since 2007 she has be working as a freelancer with „Tanzinitiative“ in Hamburg“ and at Concordia Theatre in Bremen. In 2009 /2010 she worked in Cologne with the ensemble „Theaterwandel“ and danced in „Faustspuren“ which traveled through Germany and Europe. In 2010 she produced a multidimensional videoperformance and showed it at festivals in Germany, Greece and Denmark. In addition to dancing, Ulrike performs acrobatic fireshows, aerial work and give lessons at circus schools in social hotspots. 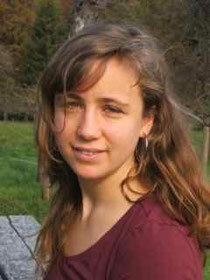 completed her professional dance training in 2012 from the „Tanzakademie balance1“ in Berlin. 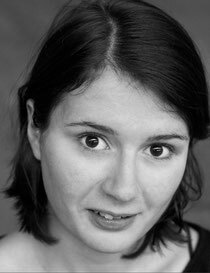 She is currently working at „Norman Douglas Company“ and „Isabel Gotzkowsky / Crossover Projekt.“ In 2013 she co-founded with Jagna Anderson „impro.per.arts. - Platform for Improvisation & Arts in Action“ (formerly Action Theater Berlin). In spring 2013 she was assistant to the project „Behind the Gardens“ under the direction of Barbara Schmidt-Rohr and choreographer Isabelle Schad. Since January 2013, she has been working in different dance schools such as the Tanzbrücke Hamburg e.V. and the Triade Hamburg e.V. 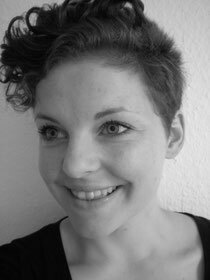 was born and raised in Germany and began her dance training in Göttingen, and then moved to Hamburg to study dance and dance teaching at Lola Rogge Schule. She continued her studies in London, where she graduated in 2012 from Laban Centre. 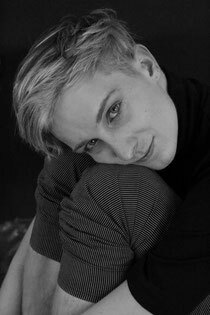 Since 2013 Marie is based in Berlin/Germany and performed within the Das Da Theater Ensemle, Cie. Willi Dorner and collaborated with choreographers such as Gary Lambert, Vania Gala, Kiani del Valle and Salvatore Siciliano. In addition to the company work, Marie is also doing her own choreographic projects. Here she is especially interested in the interaction of film and dance and most recently, she had a great collaboration with artist and composer Renzo Vitale. 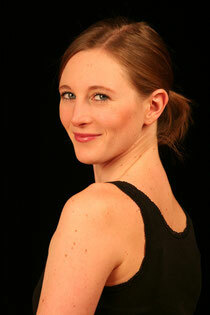 In addition to her work as a dancer, Marie is also teaching workshops and dance classes.